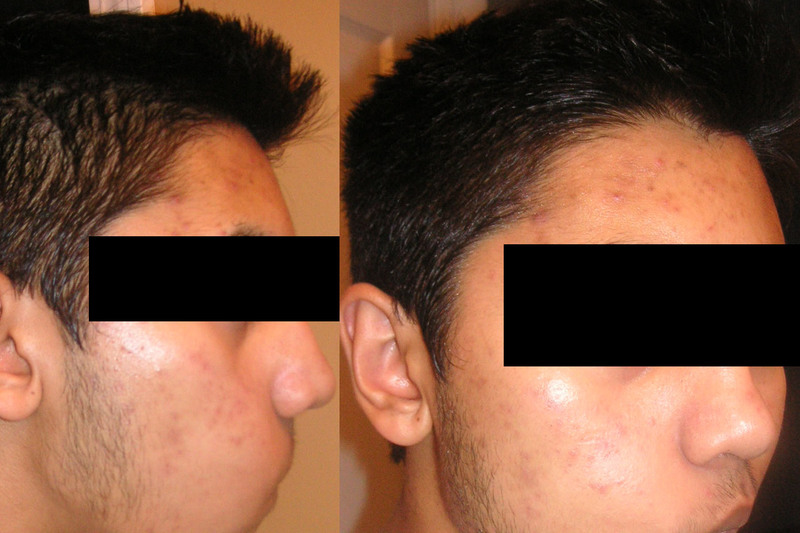 Most of my acne is gone, I just have alot of red marks and hyperpigmentation left, most on my right side. I have included two pictures of the right side of my face. Do you think I can get rid of these within 2 months, before school starts? They are not even that dark. Don't worry about it as much. They probably will fade on their own in 2 months. Not too bad mate. I'd suggest perhaps a good quality Glycolic Acid day or night cream. A brand called Jan Marini make a product called Bioglycolic, that would probably work quite nicely. Besides that, i'd suggest gentle treatment. No harsh washes, a moisturiser like Cetaphil and an SPF cream. exfoliate and sue neosporin that should get rid of them in no time. But if you have really stubborn ones like i do on my chin .. they still won't all be gone even after 8 or 9 months of doing that.